Happy New Year every one! 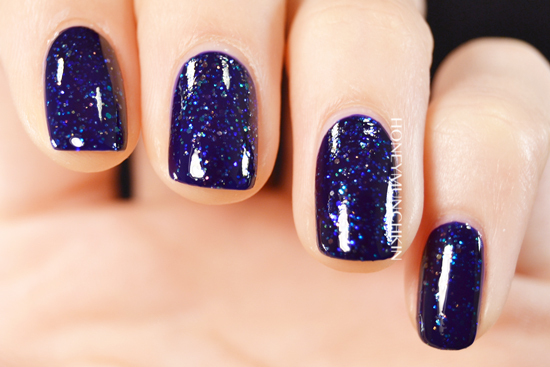 This is what I’m wearing tonight, even though I’m not going out, China Glaze Meteor Shower. 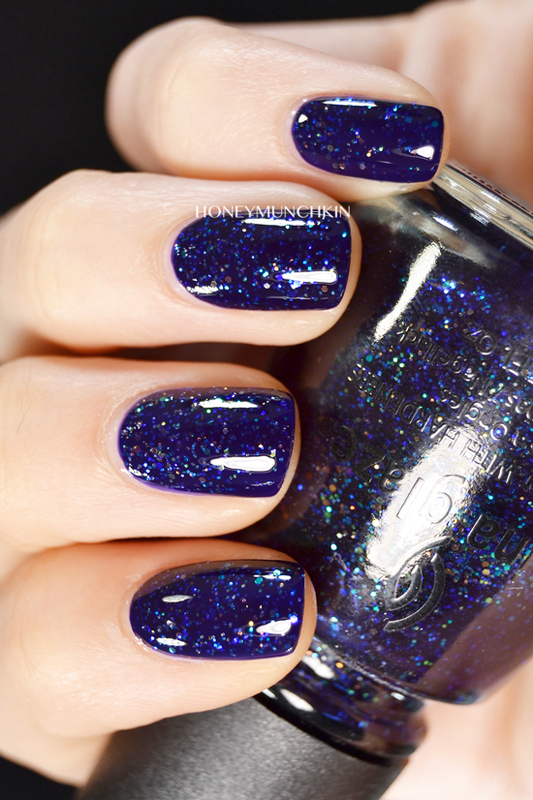 This is one coat of Meteor Shower on two coats of OPI Eurso Euro and one coat of Seche Vite. 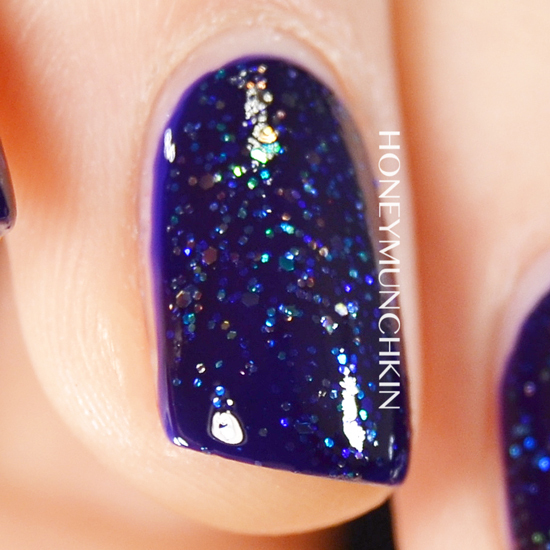 This polish is a blurple based glitter polish with opalescent hexagons in two different sixes. 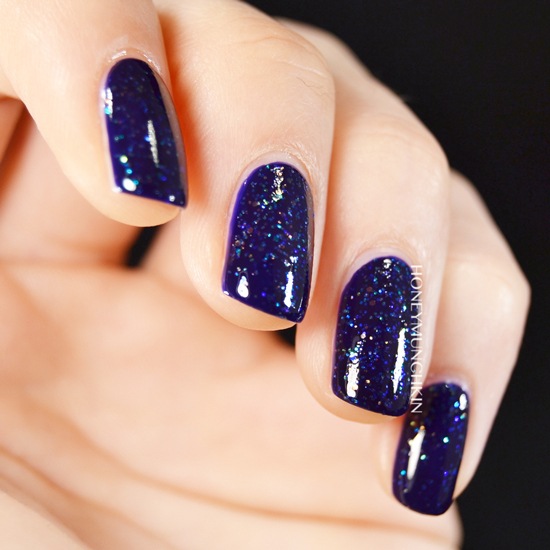 The polish itself is a little bit gloopy due to the amount of glitter in it, so on its own it would be very difficult to layer up to full opacity which is why I’m wearing on top of a dark blue cream. 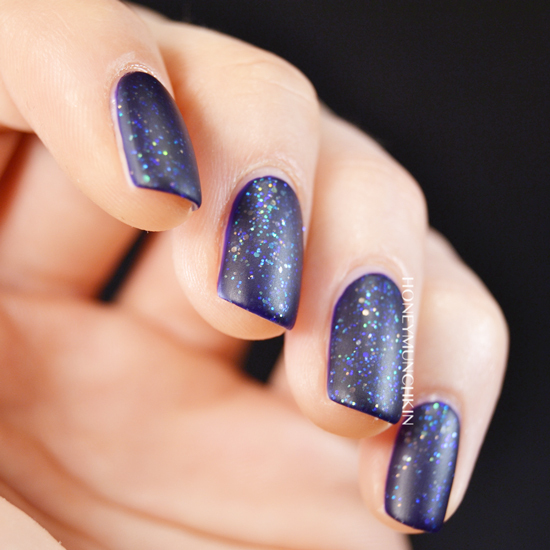 And just to really show off the glitter I added a matte top coat. I’m wearing it glossy tonight, though, because I like it better that way, but there is no better way to show a glitter than it being matte. Isn’t it gorgeous? Wow this is absolutely gorgeous!!! 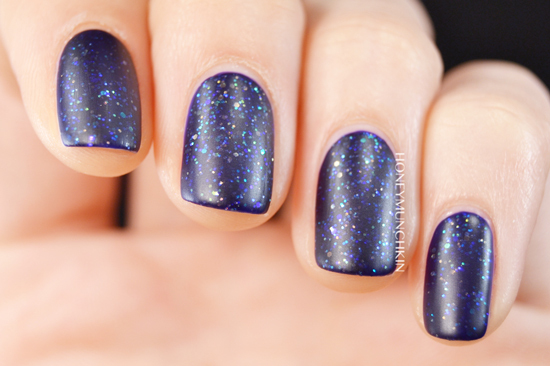 I wish I could find a polish that could look like this without the need of base colours!! Åh, så otroligt fint detta är. Mycket vackra bilder, precis som vanligt. Ska du säga som alltid har typ bäst bilder i världen :) men tack!